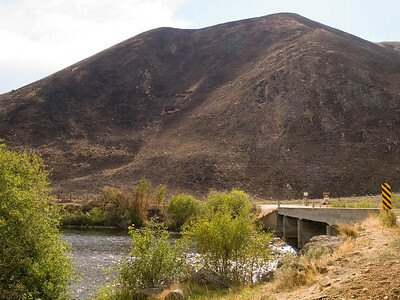 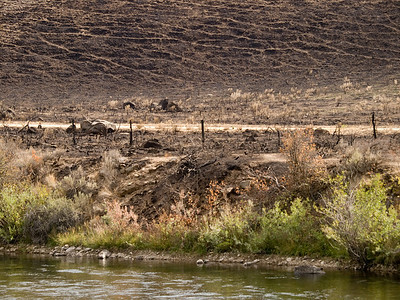 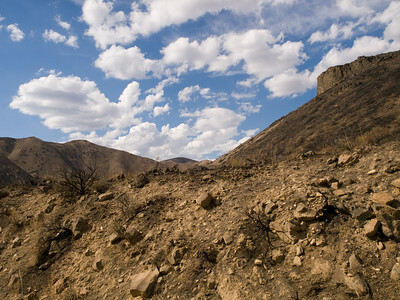 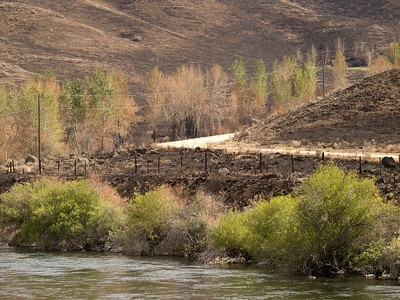 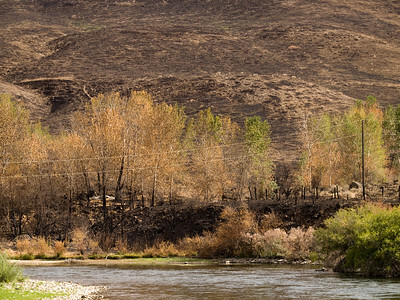 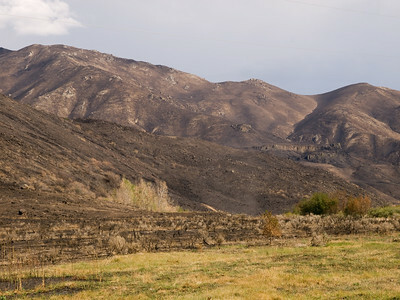 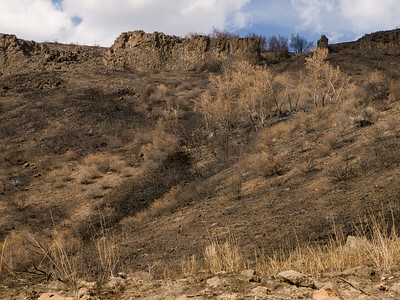 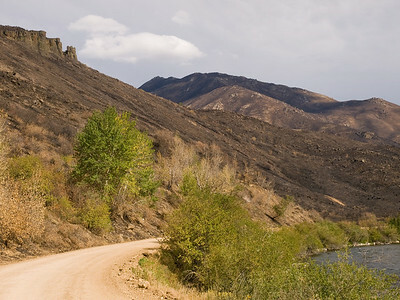 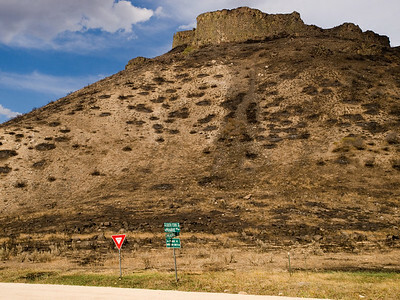 Showing fire effects in riparian zones and hazards including underburned and weakened cottonwood and mixed conifer trees, rockfall, downed powerlines and hillslopes vulnerable to debris flow. 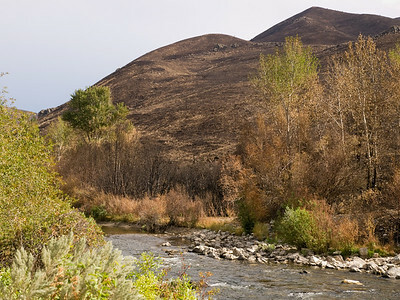 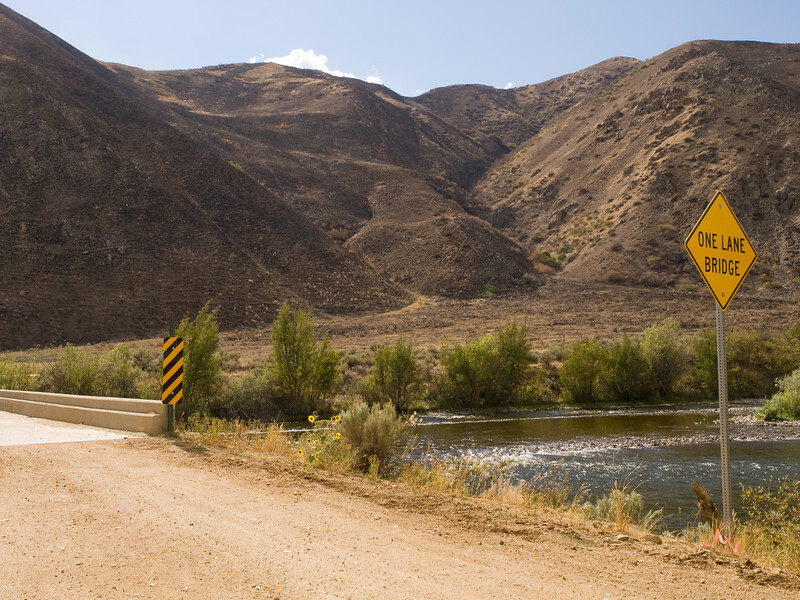 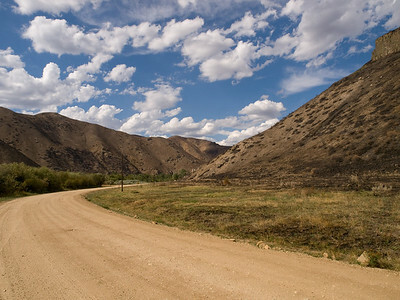 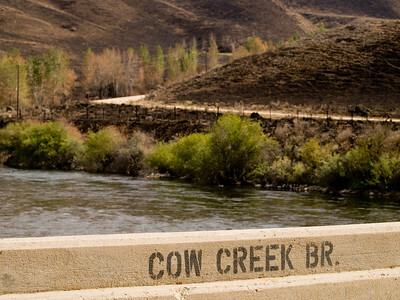 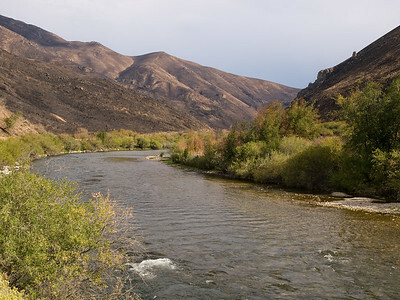 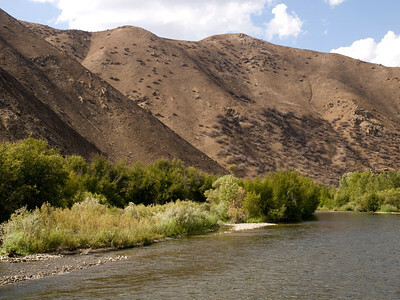 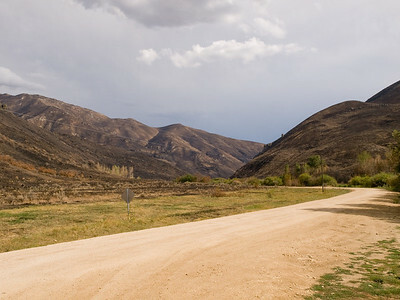 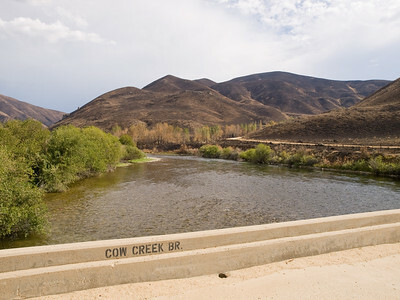 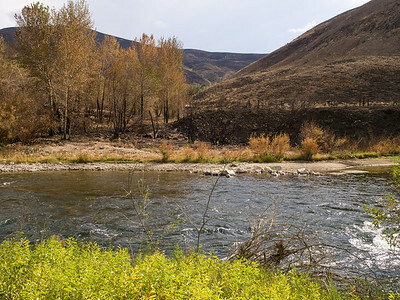 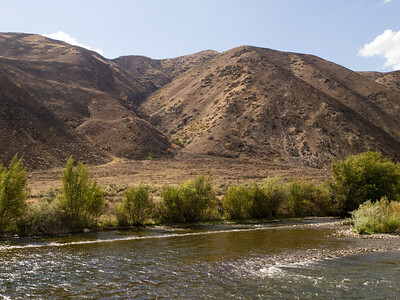 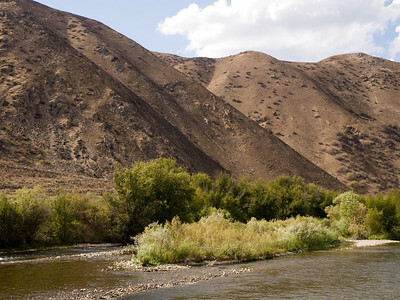 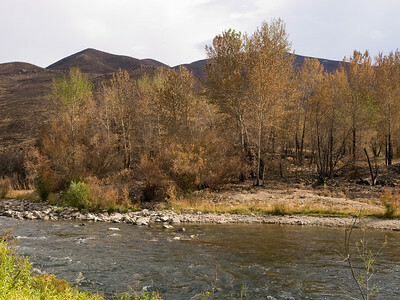 Begins at Cow Creek Bridge, heading east to Anderson Ranch Dam; Reclamation Village Recreation Site, returning back along the 113 Road west to Danskin Floatboat Launch. 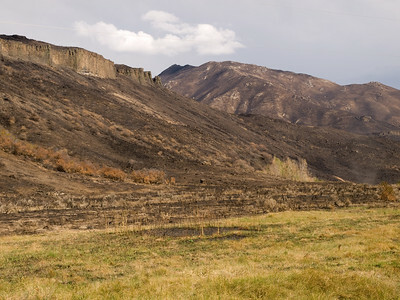 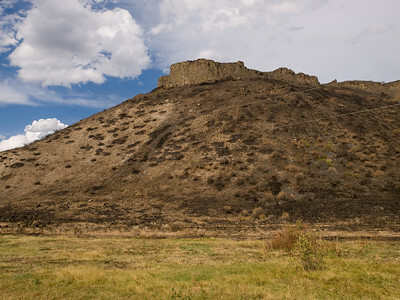 Includes views of the 113 Rd toward Prairie and views of the fire effects in Pierce Creek watershed and upper level views looking down on Danskin and the Bridge.